Better known in later life for his contributions to the world of horse racing, Peter Willett enlisted in 1940, joining the Queen's Bays tank cavalry, where his chances of survival were slim at best. 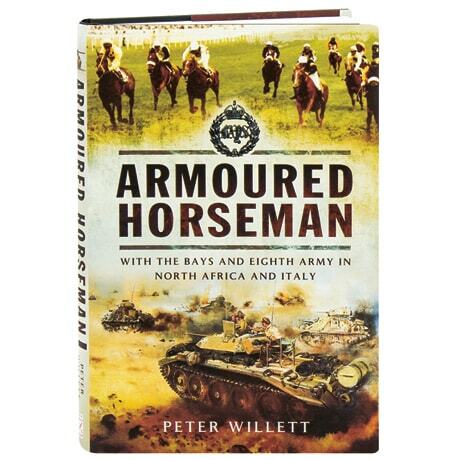 In this 2016 memoir, Willett looks back at the brutal battles of El Alamein—where he commanded his unit in Operation Supercharge—and Tunis, as well as the late-war Gothic Line battles in North Italy, which pitted the Allies against desperate German troops. Along with 16 pages of black and white photographs, the book includes Willett's accounts of a soldier's day-to-day life, as well as colorful reminiscences of his postwar experiences as a sports journalist and member of the Jockey Club.